Mirror mirror on the wall... who's the fairest of them all. The perfect Mother's Day gift! 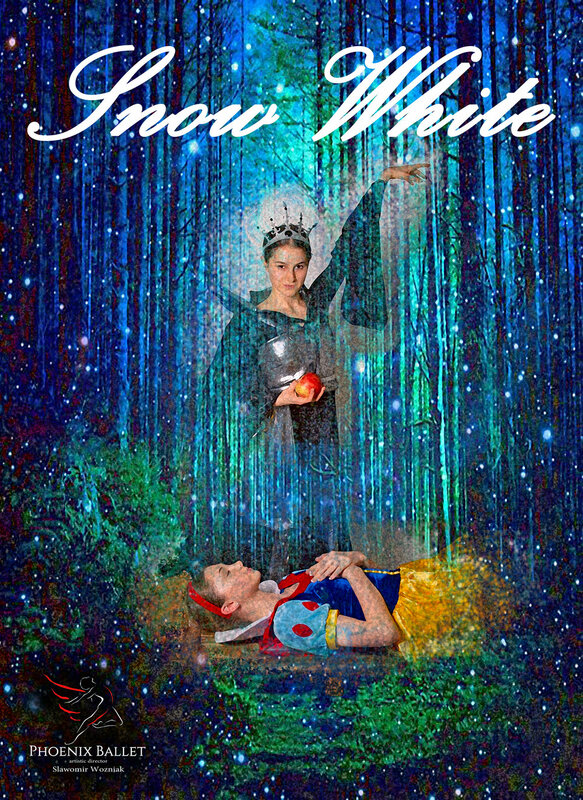 Phoenix Ballet presents the world premiere of Slawomir Wozniak's SNOW WHITE this May at the Orpheum Theatre (203 W Adams, Phoenix.) Phoenix Ballet brings this classic fairytale to life with a beautiful princess, seven dwarfs, and an evil queen with a poisoned apple. This family-friendly ballet is re-imagined with a classic flair and all new choreography, beautiful sets and colorful costumes. Featuring award-winning, internationally recognized professional dancers along with students from one of the top ballet schools in the entire world, Master Ballet Academy. Donate with Direction. Phoenix Ballet's 2018-2019 Fundraising Campaign. Below you can make a one time donation to help the Phoenix or set up a monthly donation plan to support the Phoenix Ballet's performances. We are excited to announce our 2019 Summer Intensive Dates!!! Join us at the Master Ballet Academy (the official school of the Phoenix Ballet) Summer Intensive! Receive world class training from master teachers, valuable information, and create lifelong friendships & memories. Housing available, Scholarships and Financial Aid Available, and limited spots available. Submit your online audition now, or come to our pre-professional audition in Scottsdale this Spring. Phoenix Ballet Thrives on your support. Learn more about all the ways to help support the ballet. Welcome to Master Ballet Academy® – Arizona’s premier Ballet Dance School directly affiliated with the Phoenix Ballet . Under the Artistic Directorship of Slawomir Woźniak Master Ballet Academy is the official school of Phoenix Ballet. Phoenix Ballet is committed to our community. We offer various free and discounted performances throughout the year for the community. Phoenix Ballet is proud to partner with Act One for our new Student Matinee program that enables students to learn about ballet and enjoy a special performance of The Nutcracker.